We have been asked to communicate the details of a survey from a food company to research the feasibility of establishing an initiative to improve child nutrition in the community. This is a great opportunity for BANT members to have their say on what can be done in addition to working with individuals. 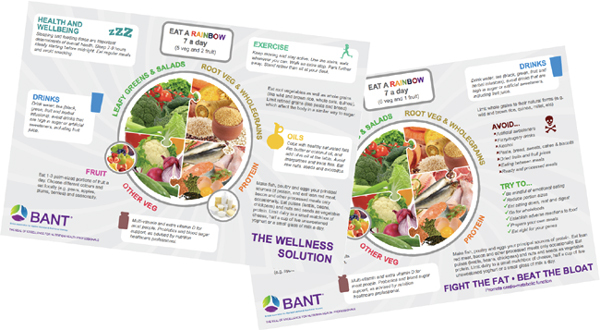 BANT has officially launched its new range of nutritional therapy posters. The materials are designed to support our Nutritional Therapists in their clinics. There are two posters – Underpinning Principles of Nutritional Therapy and The Nutritional Therapy Process. Posters for Nutritional Therapy Framework and the Food Reaction Connectome will be published shortly. Thank you to everyone who has contributed to the consultation. All comments will now be considered and the final versions of both plates, with an accompanying explanatory guide, will be published in due course. For years BANT volunteers have established regional groups of NT’s across the world that have benefited from these services. There is a huge need for NT’s to get together and support each other and develop new skills. We’re in a dynamic business, to keep up with the pace and manage to maintain a thriving practice local support can make it easier. and order ASA compliant, personalised nutritional therapy leaflets. Access the BANT news here. This is the twentieth edition of our new look BANT News we hope you enjoy it. We have an existing IFM group membership which renews in February. Members are welcome to add to this group at that time. However, we would like to try to establish a second group which would start in October and renew annually. We are dependent on numbers to determine the discount which ranges between 10% and 30%.